Meeting the 2020 workforce challenges requires organizations to strategically focus on the real importance of people as one of their most important assets. That strategic Human Capital focus requires a Human Asset Management Strategy approach. 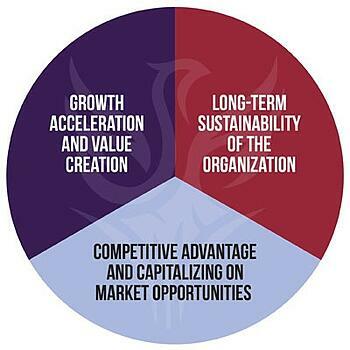 Why is Strategic Human Capital Different? Strategic Human Capital aligns people with corporate strategy to ensure continual, future-focused Human Capital capacity. When Human Capital doesn’t pace with either strategy or change, this alignment can unravel creating a strategic organizational gap. If your organization is ready to meet the today’s Strategic Human Capital challenges, but you are not ready to hire a full-time Strategic Human Capital professional, our team of highly qualified advisors can help you through this transition process. As you grow, we can continue with you as an outsourced advisor, coach and develop current staff professionals, or help you hire the right professional to continue with your Human Asset Management Strategy. 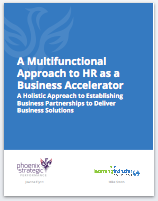 Simply fill out the form to request more information on our Strategic HR Advisory & Implementation Services.